A single empty yellow chair sits next to Heather Swan’s tall, buzzing beehive in her backyard in Madison, Wisconsin. Swan keeps it there to sit next to the bees — some 60,000 insects —and talk with them. 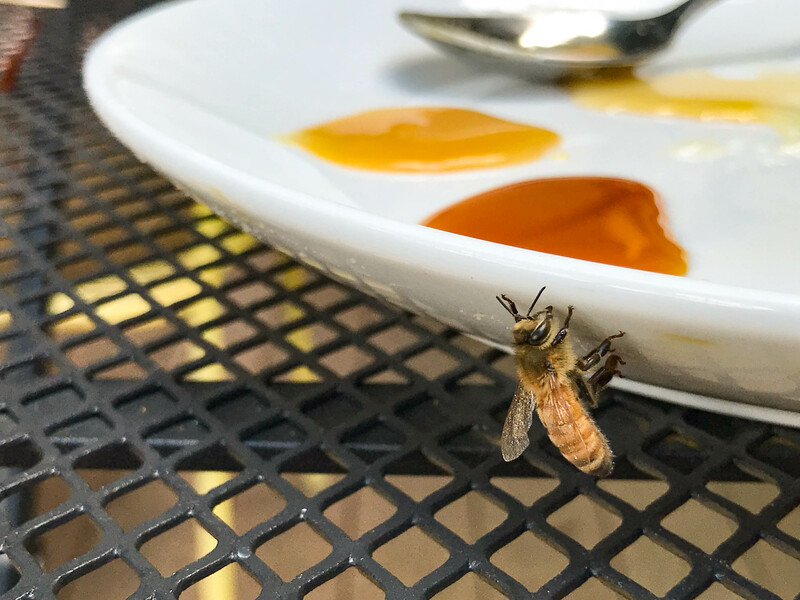 She tells the bees when something important is going to happen, and on a recent day whispered the news that a few radio journalists would come to visit. 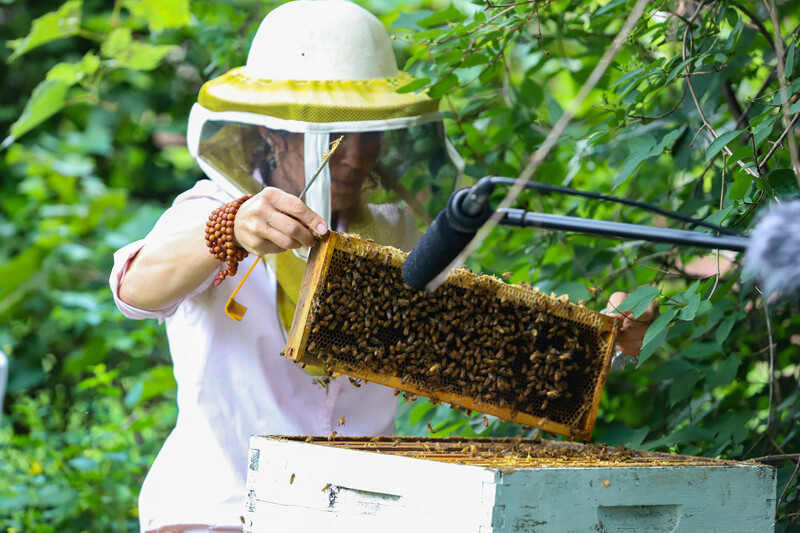 Sometimes, too, she puts her ear to the hive to hear how the bees are doing, to get a sense of their mood. 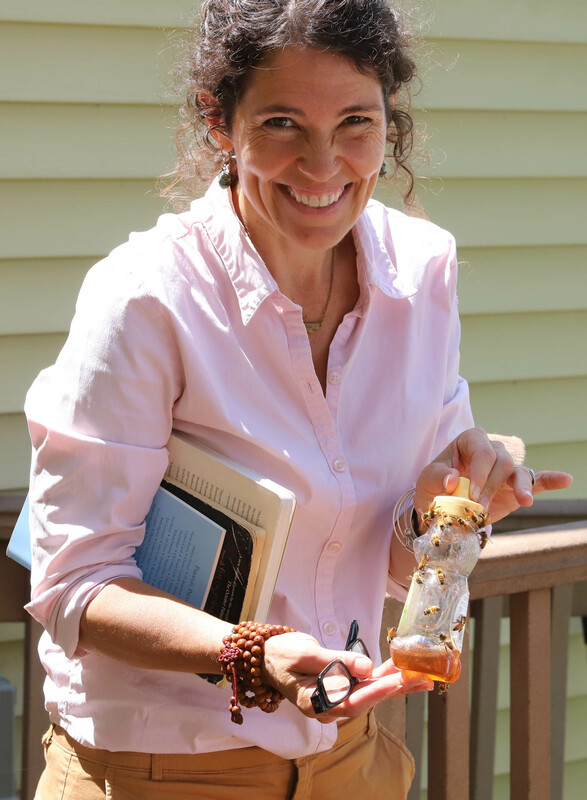 Swan, who teaches environmental literature and writing at University of Wisconsin-Madison, has combined her love of bees, writing and art in an unusual book, “Where Honeybees Thrive: Stories From the Field.” The layout of the book is striking, with honey-colored pages alternating with bee-related artwork, like Sibylle Peretti’s St. Francis, of a child sitting on a magical-looking mound of honeycomb. 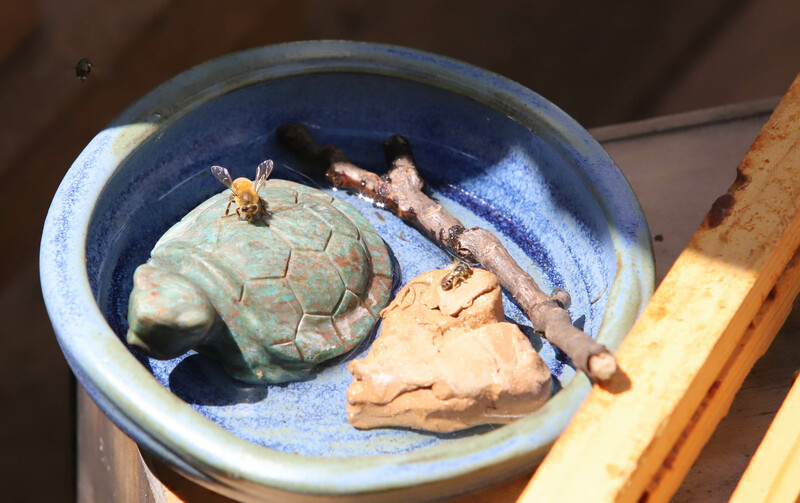 The book poetically melds stories of science and real life experience to show the undeniable meaning bees have to plant and animal, and human life. “I wanted people to fall in love with bees,” says Swan, about why she wrote the book. 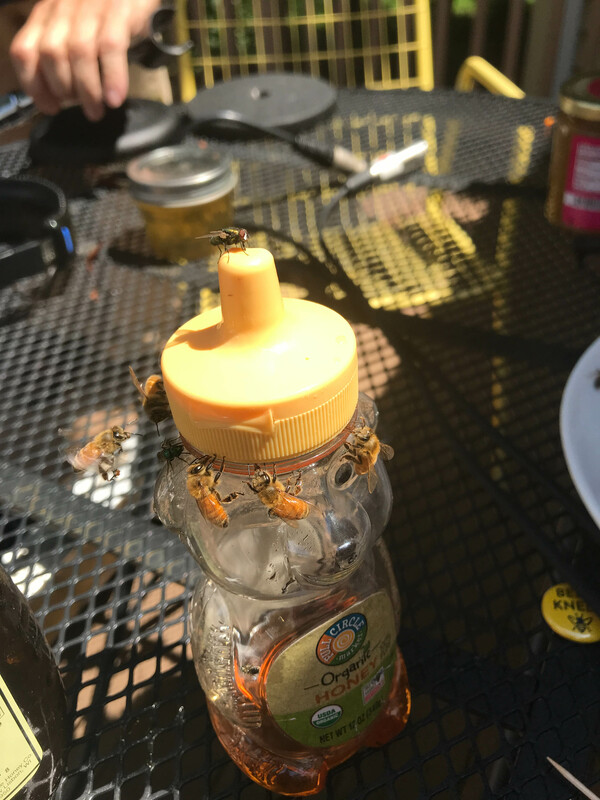 At our interview, Swan’s bees join in the conversation, flying across the yard from their hive and buzzing between microphones, alighting between excursions either at the picnic table arrayed with honey samplesor an area she’s set up for them with water and stones that serve as honeybee adirondack recliners. 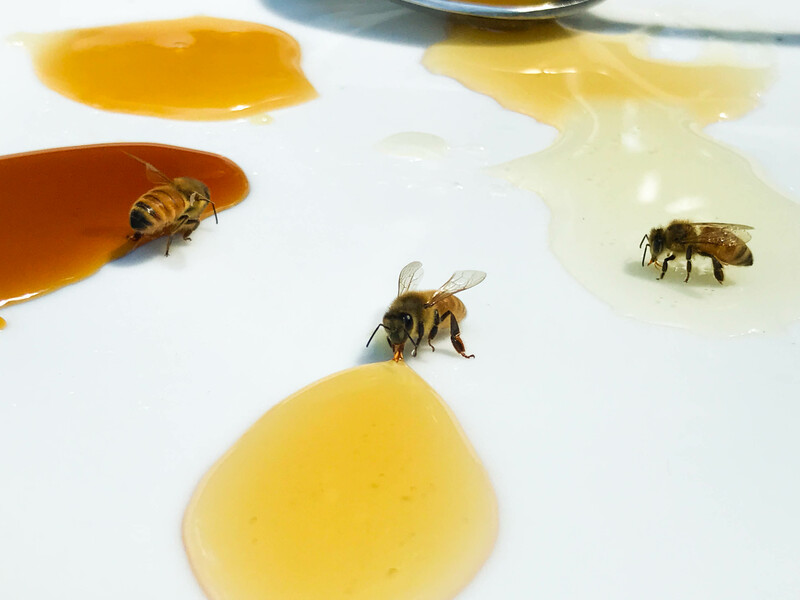 As she gives us a taste test of five kinds of honey, they come closer, and elect to dip into their own honey. “My bees are doing really well,” she laughs at their choice. Then they branch out to the other honeys, occasionally requiring rescue from Swan. She tenderly hoists a bee that has dropped deep into a honey pot with her finger, brushing it off gently as a worker bee might for its queen. Swan’s book leads the reader into many bee realms, illustrating how bees affect every part of our worlds, from their work as pollinators for Michigan blueberry farmers; to the bees of Guangxi and Sichuan, China, waning from pesticide use; to mead-makers in Madison and tales of her own adventures with bees. 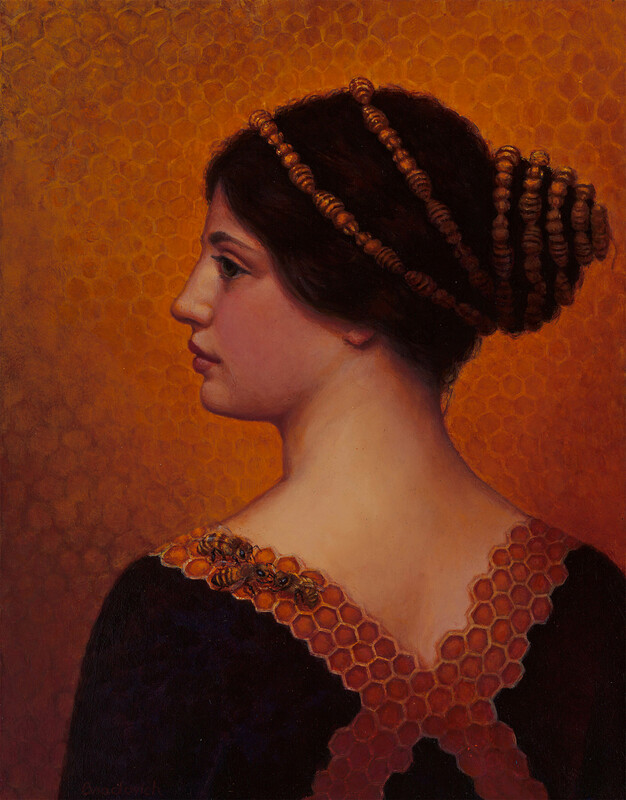 She credits her early love of bees to her artist parents, who taught her to see the world in a creative way. 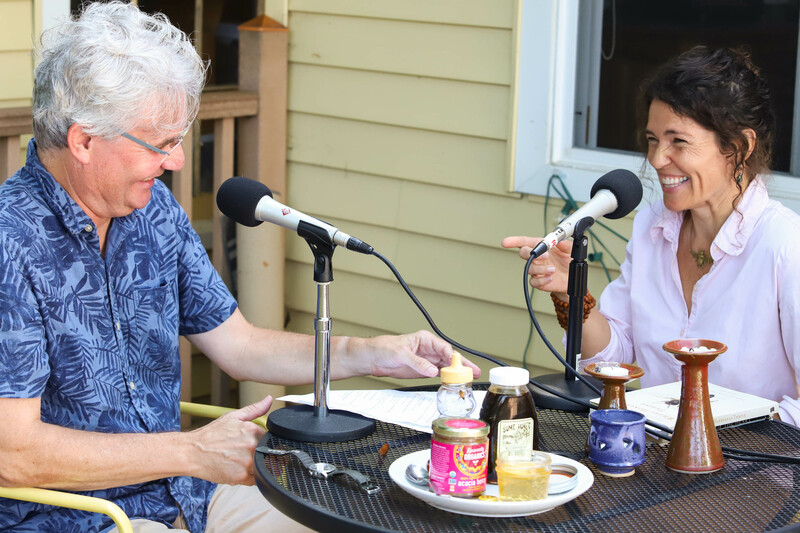 She first met bees at about eight years old when her father took her to visit a beekeeper. 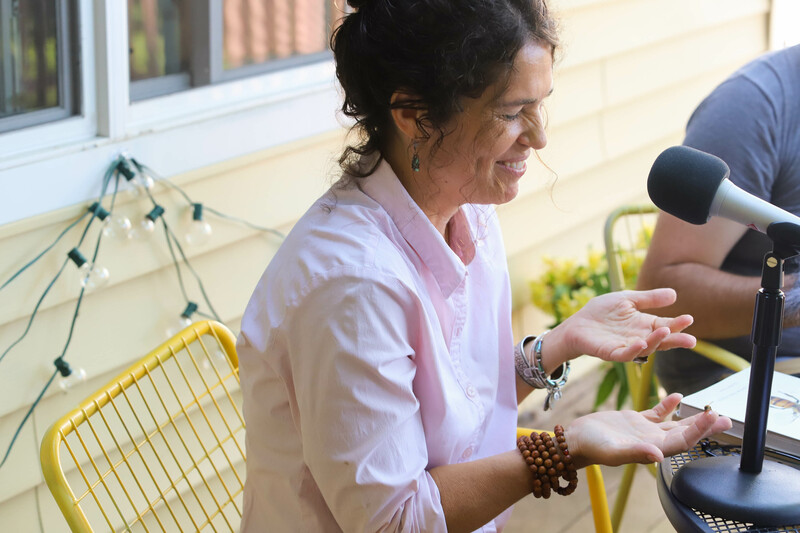 “I felt so overwhelmed by the magic of what the bee could do, and even more magical was that a human being could be involved in this,” Swan says. 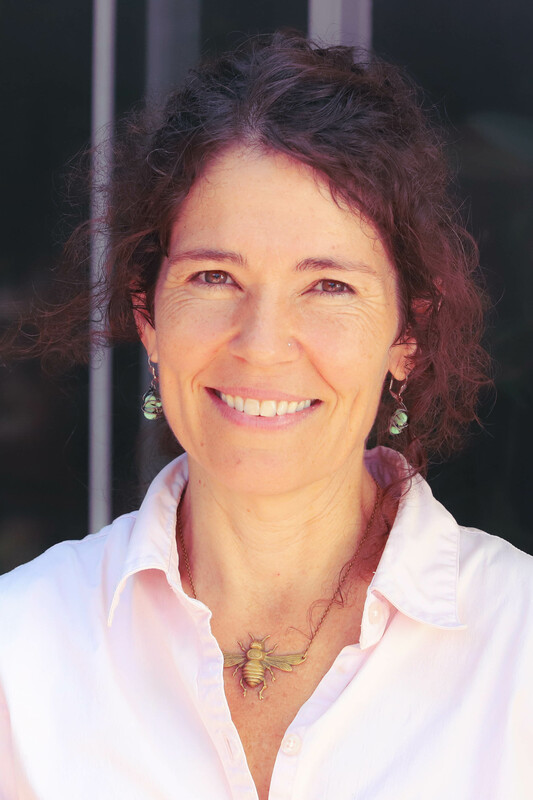 Swan received an MFA in poetry and then a PhD in literary and environmental studies from University of Wisconsin-Madison. She became a beekeeper herself in 2007. She wears a protective bee veil on her head, but works with the bees barehanded. 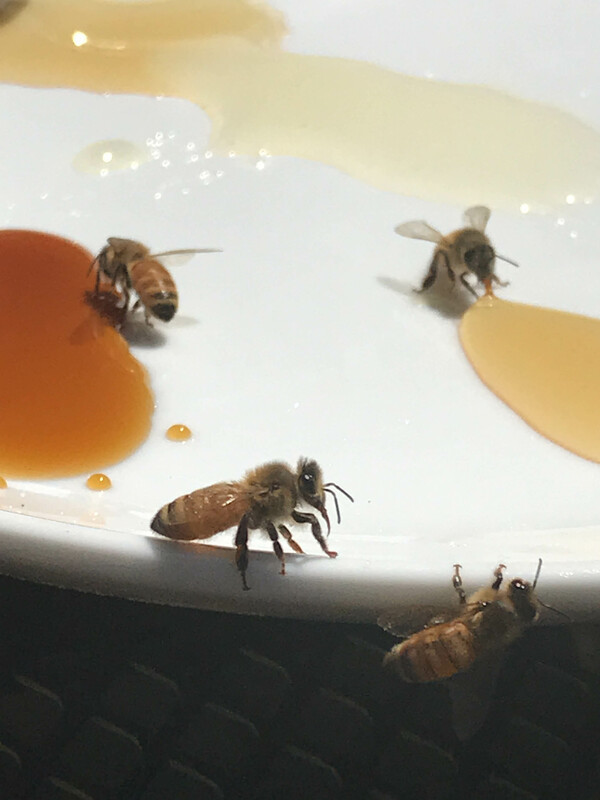 Swan has an ethereal calmness about her that she says is necessary for the bees’ feelings—if she is calm, they will be calm. But it’s not always perfect. 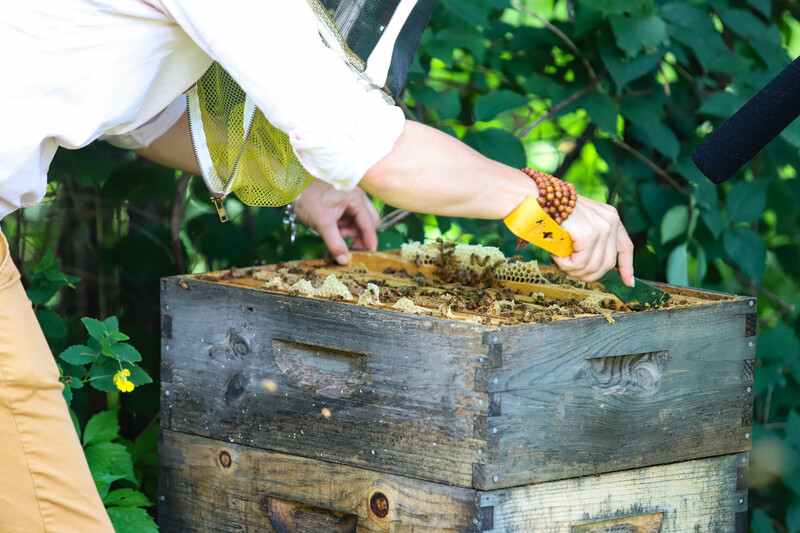 Swan remembers a time when she opened up a hive too quickly, with too much anxiety, and not enough focus, the bees felt it, and stung her, repeatedly. It turned out some invading bees were attempting a raid on her bees' honey. The hive suddenly opening up in the midst of a battle with pirate bees proved traumatic, and led her bees to think they needed to fight their stressed beekeeper as well. While she’s not allergic, Swan has a worse than normal reaction to bee stings, comparing them to blowing up like hydrangeas. Swan loves her bees, but she’s also worried about bees, pesticides and the environment. Colony collapse disorder is a real threat. 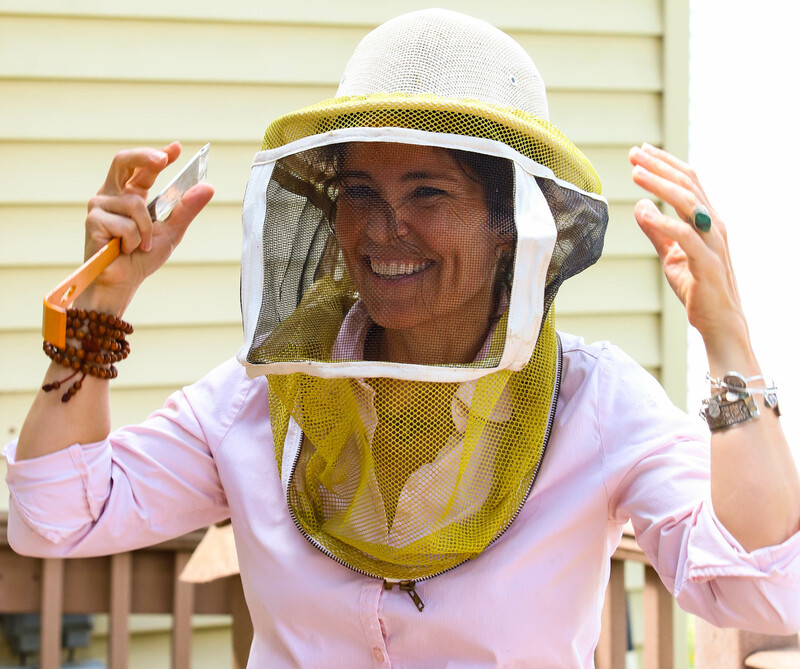 So part of her goal in this book is to communicate how to coexist with— and yes, even to love — bees. 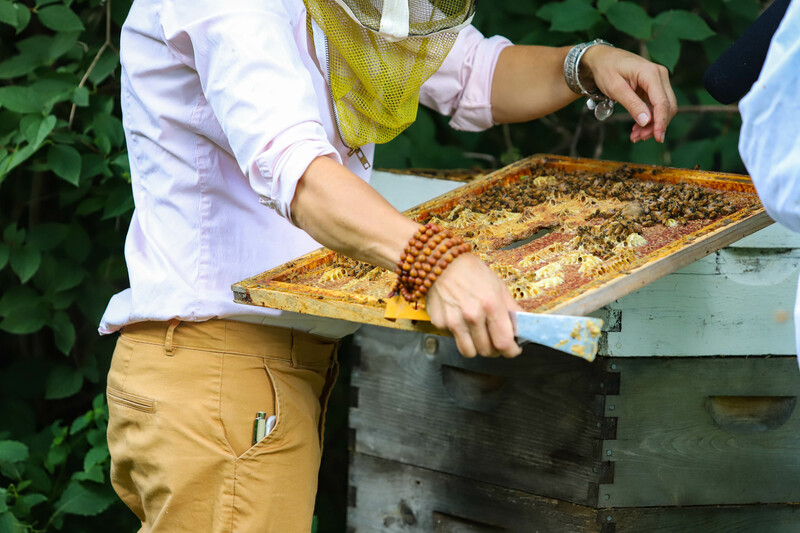 Anyone who wants to make a little difference, she says, outside of becoming a beekeeper, can plant wildflowers in their yard, and refuse to use pesticides. Swan leaves most of the honey for the bees themselves, usually taking out about four to five frames a year—about 20-25 pounds—which she gives to neighbors and friends as gifts. Swan thinks of it as part of her mission to spread the word how humans can be part of the insect community architecture.